Holidays throw item demand into chaos for retailers – which means that their distributors need to be on top of their game to stay afloat. Because demand for items changes so drastically during the holidays distributors need to be planning ahead for months in advance to be able to fulfill orders on time. As a part of an extended supply chain, distributors need to make sure that they are operating efficiently, having all the right stock in the warehouse when it’s needed and making sure that it’s going out on delivery quickly and accurately. There isn’t any room for error when it comes to order fulfillment for the holidays. We’re here to tell you how you can keep your supply chain running smoothly, even when your customers are scrambling to prepare for the holiday season. With the vast amount of gift-giving associated with this holiday, it’s no wonder that demand soars for wholesale distributors – especially for those who distribute typical gift items to retailers. For end customers, planning begins as early as October with 25% of consumers researching gift ideas for the holidays and Black Friday being the biggest shopping day of the UK holiday season. This means that retailers will be keeping an eye on what customers are viewing and will begin planning their own procurement to fulfill holiday demand. Wholesalers likewise need to be aware of what retailers will be needing to fulfill orders earlier in the year as retailers begin procurement for the holiday season months in advance. The festival of light as celebrated by the Jewish people. Its date is variable but it usually coincides with Christmas. As there are eight days of gift-giving, it is an important date for retailers in areas with a sizeable Jewish population and comes with the same sort of demand changes as Christmas. The Thanksgiving holiday marks the beginning of the Christmas shopping period. Many retailers discount goods on Black Friday, the day after Thanksgiving, which leads to a large spike in demand. Retailers tend to discount items throughout the entire shopping period up to Christmas as well, leading to increased demand from end customers and causing demand spikes for distributors. This is the basis for a successful holiday period. Distributors need to accurately predict which items will be in high demand over holiday periods and effective forecasting leads to accurate procurement and fulfillment. Historical demand is a good place to start when it comes to determining which items will be in high demand. Extending this with seasonal profiling which analyses and factors into the forecast the demand peaks throughout the year typically provides accurate projections. New items with no sales history are trickier to predict, but just as important. These can often be managed by linking to similar or associated replaced products and using that as a forecast base. Forecasting will need to be done months in advance since order fulfillment for retailers will be a few months in advance as well. Make fulfillment for your team as easy as possible by organizing your warehouse to optimize packing and shipping. One way to organize your warehouse is with a picks analysis; this groups items based on number of requests and makes the highest request” items the most accessible. This will help your team get orders packed and shipped efficiently and accurately so that your service levels stay high during the holidays. This includes your orders to your suppliers as well as orders coming in from your customers. In line with organizing your warehouse, making sure that your order processes are seamless will help you manage holiday demand better. This is best done with warehouse and inventory management software that automates order processing thereby improving speed and efficiency and reducing costs and errors. Returns are inevitable, and having a return policy in place and a process for reintegrating items into your warehouse or redistributing items to different warehouses will help you better manage your supply chain. Accepting returns is a surefire way to cement relationships with customers and keep them loyal to your brand. Holidays can make or break your customer relationships. Knowing what your customers are concerned about and helping them achieve their own customer service levels is the best way you can strengthen your relationship with your customers. This includes having what they order on hand when they need it and delivering it quickly and accurately. Keeping your own service levels high is no mean feat, but with the right planning and tools, you can make sure your holiday season and beyond are a success. 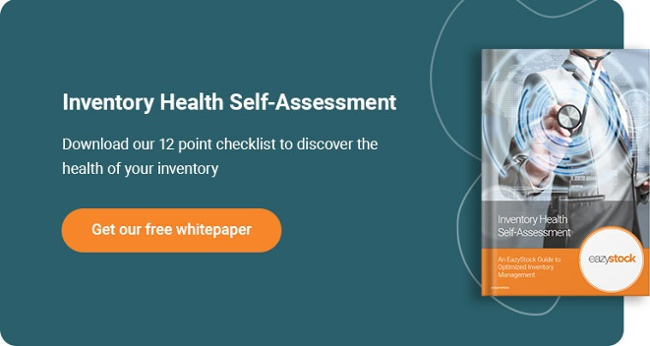 To get a better view of the current state of your inventory and see where you should make adjustments, take a look at our Inventory Health Self-Assessment. Diagnose your inventory with these 12 detailed questions.